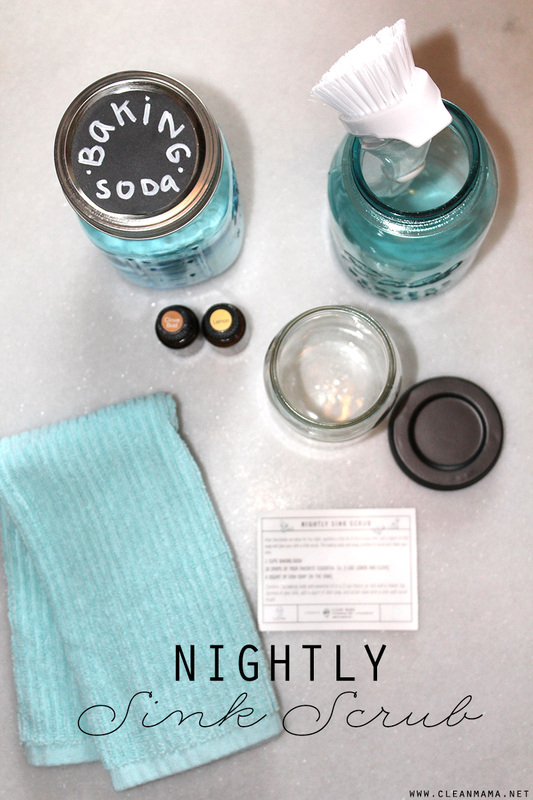 My favorite DIY recipe is also my favorite nightly ritual – the Nightly Sink Scrub. 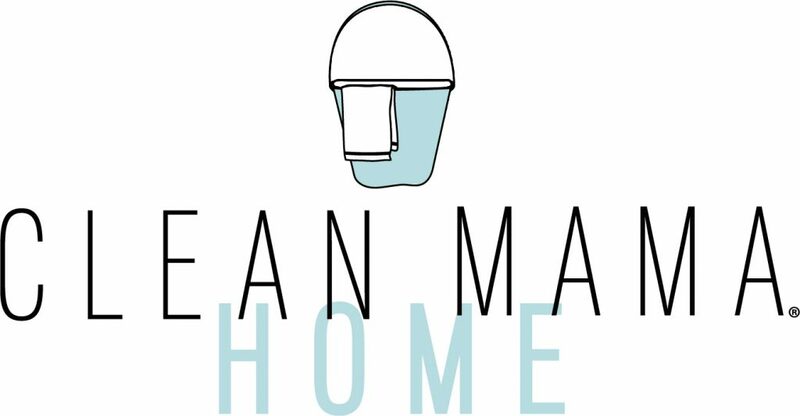 It’s a recipe I came up with a few years ago and it pretty much started my DIY cleaners obsession which also turned into my first book, The Organically Clean Home. 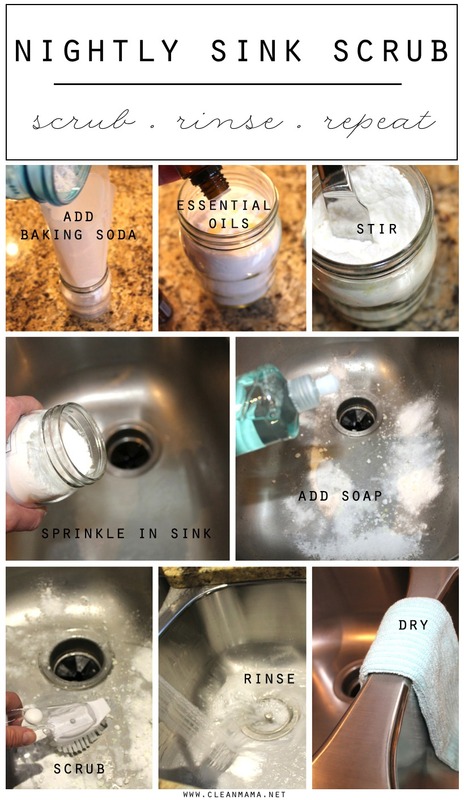 The great thing about this recipe is that it’s so simple to whip up and it does such a great job at giving the sink a little scrub, you’ll love it! Did you know that the sink is pretty much the dirtiest spot in your whole home? Another reason to give it a nightly scrub! container with a lid or a shaker top (I like a mason jar, this one specifically :)) – I’ve previously used a shaker top but have switched to a lid – either way works! 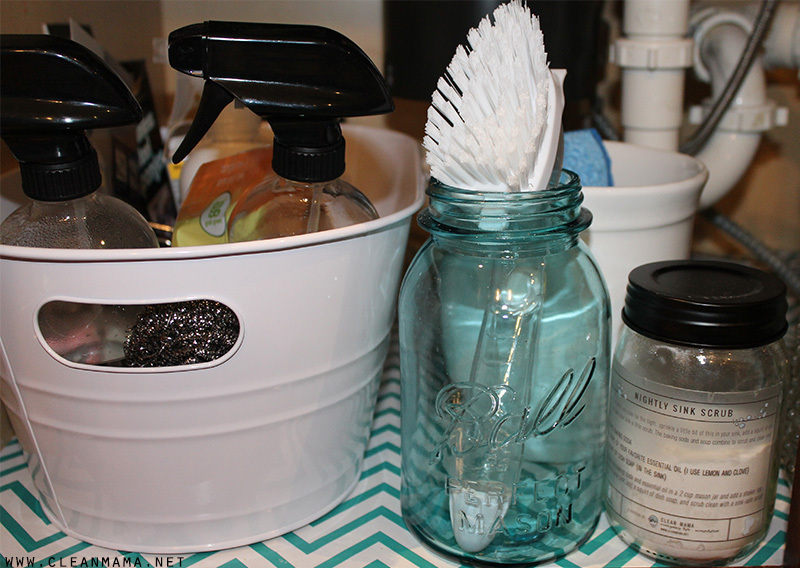 sink safe scrub brush – I use this one and keep it under my sink in a vintage mason jar. I can toss the head in the dishwasher to sanitize it as needed. 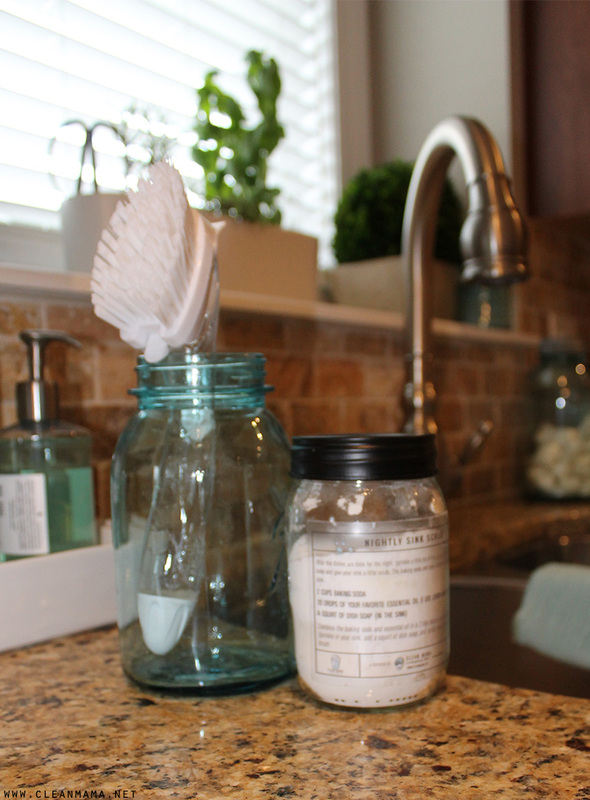 I keep this jar and scrubber under the kitchen sink just for cleaning the sink – it’s convenient and easy to grab every night. 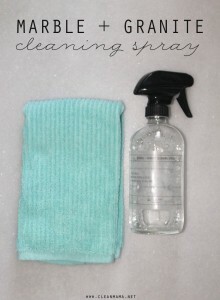 There you have it – a simple and effective DIY cleaning recipe to add to your repertoire! Awesome! Luckily I have all the ingredients except for the scrub brush. Good reason to go to the store? Yep, also need to get some groceries. Does this work well for a porcelain sink? Can you substitute out the essential oils? I have lemon but not clove. I also have Melaleuca, Lavender, Eucalyptus, On Guard (which has clove), Peppermint and Cedarwood. What would you recommend? Are the essential oils necessary, and if so do you use that combo for a specific reason? Do you need the essential oils? where do we find labels for the jars with the recipe of the contents? I was just wondering, is the clove oil that you use the same as clove bud oil? 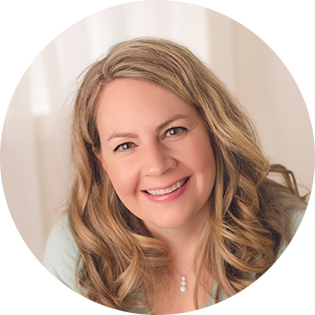 I just love your blog:) Will you share with me the brand of your favorite essential oils? What do you use to clean the drain holes in the toilet where the water comes out underneath … I use the disposal scrub thing like you do and I scrub under there and even though the scrubber pad is clean those holes look gross! I can’t stand to get too close to it bc it seems uber gross! Can I use this scrub on a blanco silgrante sink? can I reuse? or do we need to make up a fresh batch every night? 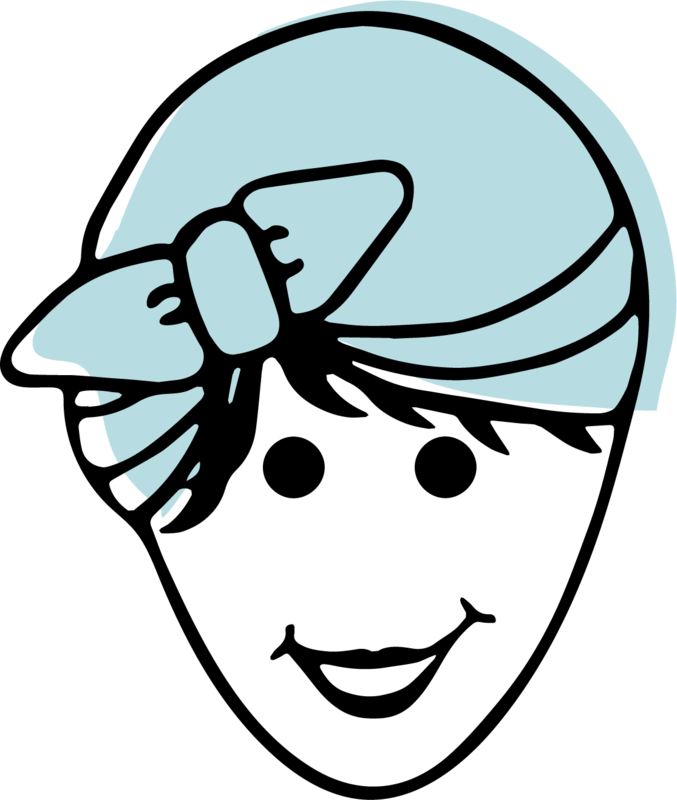 One stupid question: Where do you find essential oils? Can you use this on a white corian sink? Our sink stains like crazy from coffee, spaghetti sauce, etc. I would love to find a more natural, less chemical way to clean it. do you think you could use a drop or two of dish soap instead of castile? i don’t stock castile but always have dish soap on hand, usually 7th generation or ecos. tia! I have a porcelain sink. Would this be safe for it? 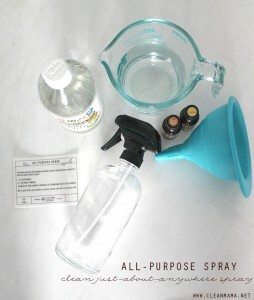 Can I use actual lemon juice from fresh lemons in place of the essential oil for scent? Yes! 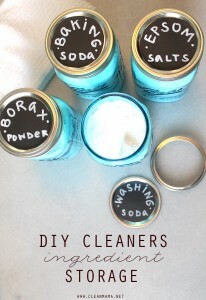 But you would just add the lemon juice as you use the scrub, don’t add it to the baking soda in the jar. Hi There! 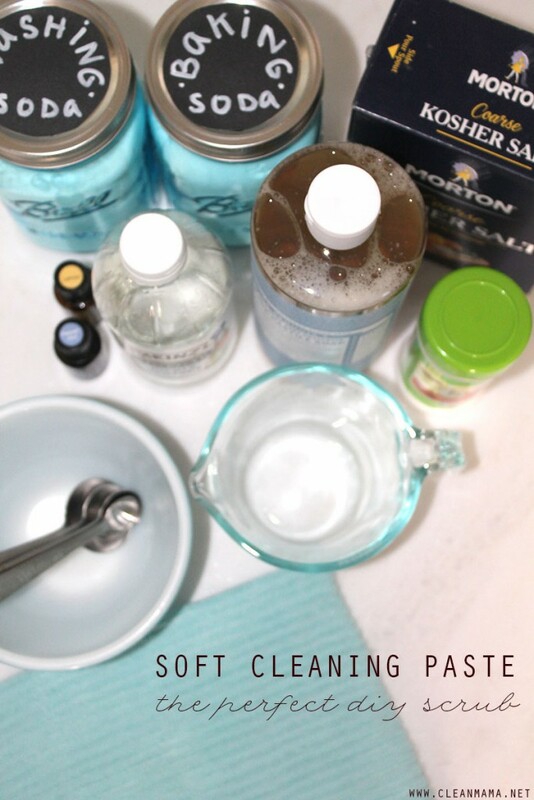 So I used the Castile soap to make a foaming hand soap like in another one of your blog posts. And the mixtures are always cloudy (works and foams fine). Just wondering if this is supposed to happen or if I can prevent this (purely esthetic reasons, since my soap dispenser is clear, the mixture just looks murky/unclean). Thanks!! Can I use this on my copper sink? Is this safe to use on a granite composite sink? My sink always looks great after I clean it, but during daily use I don’t dry it and am left with water marks on the sides. Any recommendations for preventing those? Thank you! Try drying it in between uses and/or spraying it with cleaner and drying it. Does this disinfect? Like if I had chicken juice in the sink, will this be enough? 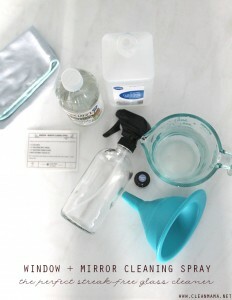 I spray hydrogen peroxide with chicken or meat. Hi! 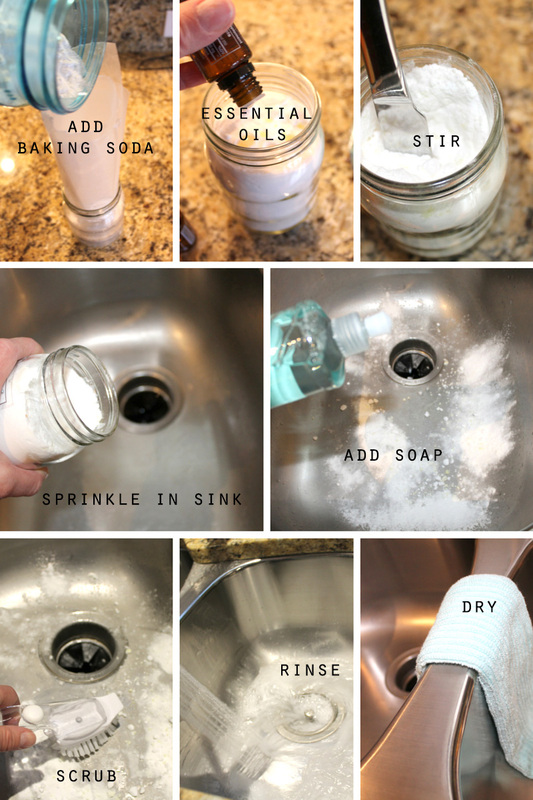 Is that wax paper you are using to funnel the baking soda into the scrub container?